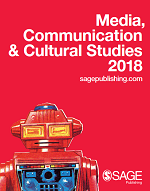 For over 50 years, Cultural Studies has been at the heart of the social science we publish at SAGE. 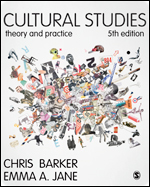 From Stuart Hall’s classic Representation, to Angela McRobbie’s acclaimed The Aftermath of Feminism, to Chris Barker’s international bestseller Cultural Studies: Theory and Practice, we publish critical and engaging books for students and scholars alike. Our books sit alongside a world class journal collection, providing high quality, peer-reviewed, cutting edge content covering a whole range of topics from consumer culture, through games and culture and material culture and more. The indispensable guide to studying culture for generations of students, this text has now more on digital media culture and is re-written with a new co-author. 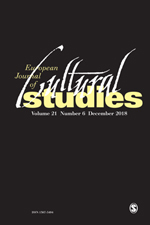 European Journal of Cultural Studies is a major international, peer-reviewed journal founded in Europe and edited from Finland, the Netherlands, the UK, the United States and New Zealand. The journal promotes a conception of cultural studies rooted in lived experience. It adopts a broad-ranging view of cultural studies, charting new questions and new research, and mapping the transformation of cultural studies in the years to come.